This week on the O The Anthem podcast, wildfires are ravaging California, Hollywood and the world continue to react to the actions of Harvey Weinstein, the US Men’s National Team did not qualify for the World Cup, and Rex Tillerson vs Donald Trump, who has a higher IQ? This week on the O The Anthem podcast, we talk about Mike Pence being disrespectful to the American taxpayer, we discuss guns and how the news operates in the aftermath of the events in Las Vegas, and finally we talk about the Harvey Weinstein scandal. Episode 182: End for O’s, Ravens, and Hef. This week on the podcast, the guys say good bye to the 2017 Orioles, and are we already counting out the 2017 Ravens? We also discuss Hugh Hefner’s complicated legacy, and Donald Trump has been really blundering things in response to Puerto Rico. This week on the podcast, Cory is taking a trip to Las Vegas and Los Angeles, Donald Trump apparently acted as his own spokesman, George Zimmerman is auctioning off the gun that killed Trayvon Martin, the Capitals are eliminated from the playoffs again, the Edward Nero trial is underway, and when will the Baltimore mayor’s race be final? This week on the Spotlight, we talk about the NFL Preseason and the Ravens, Ferguson one year later, and the disaster that is Fantastic Four. 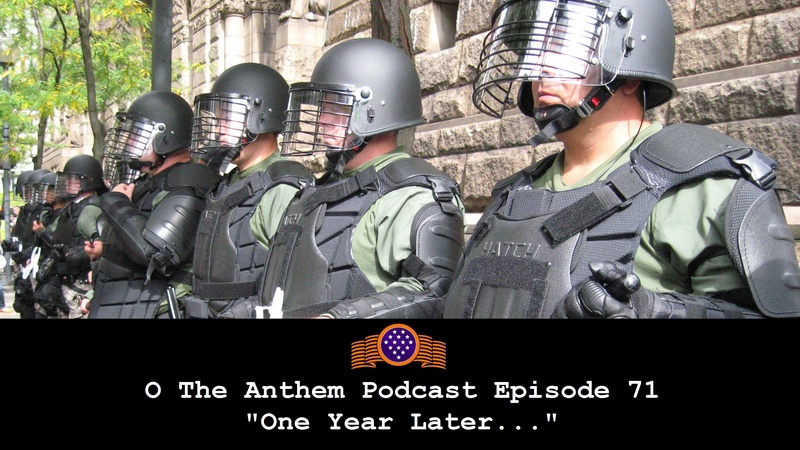 This week we talk about the Ravens and the NFL preseason, What is going on in Ferguson a year later, Fantastic 4 just keeps getting more and more crazy, and AT&T and the NSA are going to different levels to spy on you.